Say hello to my deluxe bean porridge!!! My love for beans these days has been indescribable. I can afford to eat beans now as much as I eat rice. This deluxe beans porridge is amazing and very easy to cook. 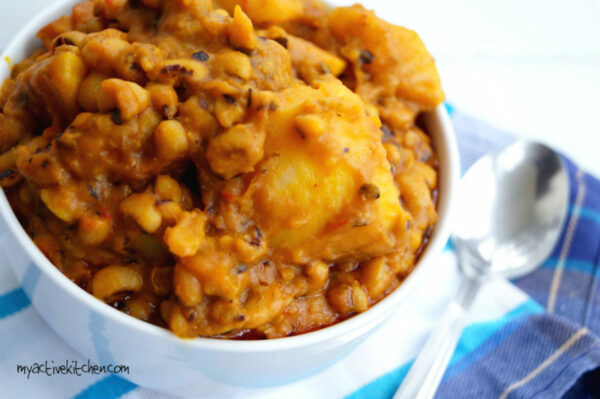 Nigerians tend to cook more of brown beans than black-eyed beans when cooking jollof beans. I recently started using black-eyed beans due to the fact that brown beans is now expensive and scarce in the UK. I have found a better way of enjoying Nigerian beans which is this deluxe beans porridge. You can switch the ingredients used in making this bean porridge to make it more of your own. 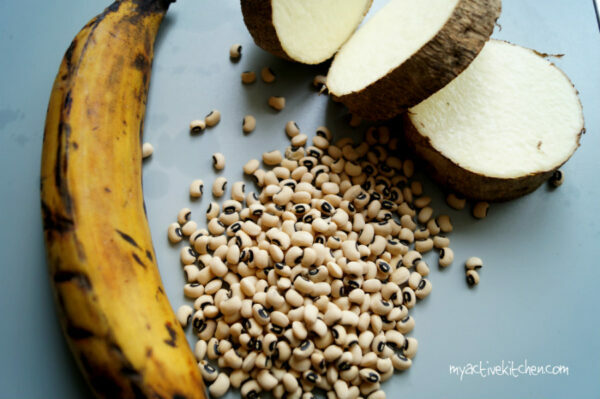 I added yam, plantain and other ingredients listed below to make this beans and yes it was super delish. 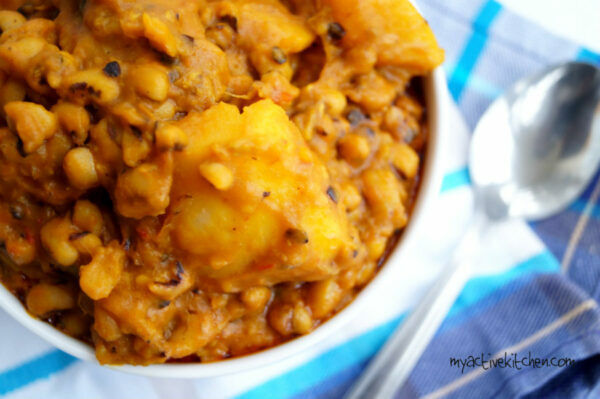 You can also add small potash (kaun) to the beans whilst cooking. Also, do not add salt to the beans until it is completely soft. 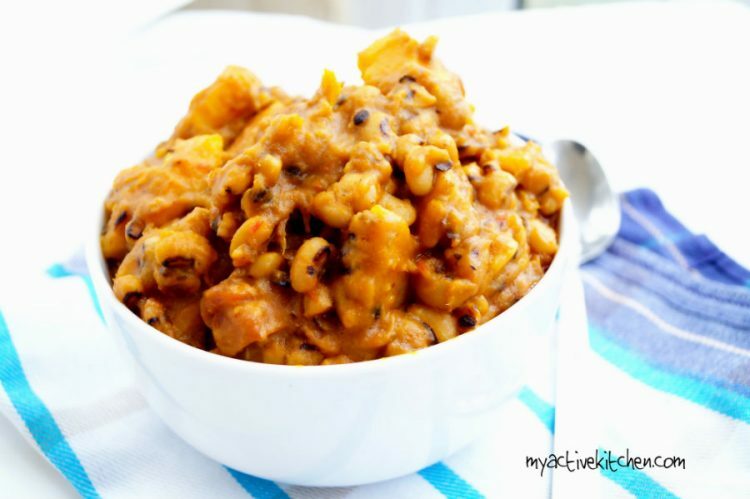 Once the yam is tender, add sliced plantain, palm oil and the blended pepper. Mix together and continue to cook for another 10-15 minutes. 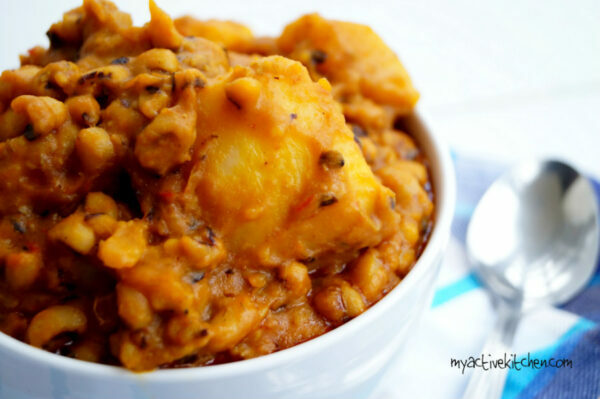 Add shredded smoked turkey, crayfish, salt and seasoning to beans and yam and stir together to combine and continue to cook till desired thickness is achieved, stir with a wooden ladle like you would with yam porridge (check in between to avoid burning and reduce the heat if need be). check again for salt and seasoning and take it off the heat and serve.